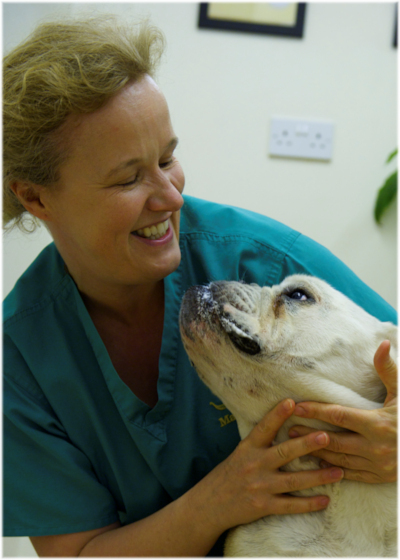 Viking Vets - Sonia Clark - Your local vet based at Chevening, Station Road, Henbury, Bristol BS10 7QQ. 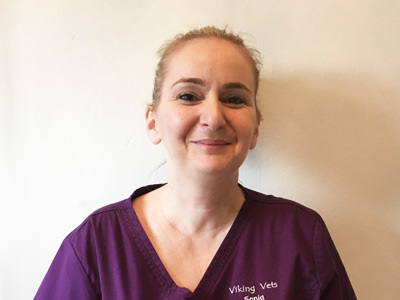 Before joining the reception team at Viking Vets Sonia previously worked in mental health. She now works full time on reception and is also responsible for the food loyalty reward scheme and the health plan cards. Sonia is married with two children and has four dogs - two Boxers called Lily and Floyd, and two mini Jack Russells called Peaches and Ollie. Her dogs were regular clients at Viking even before she joined the team. In her spare time she knits for a local dog and cat kennels, and enjoys reading. She is also a qualified beautician with a specialty in semi-permanent make-up.